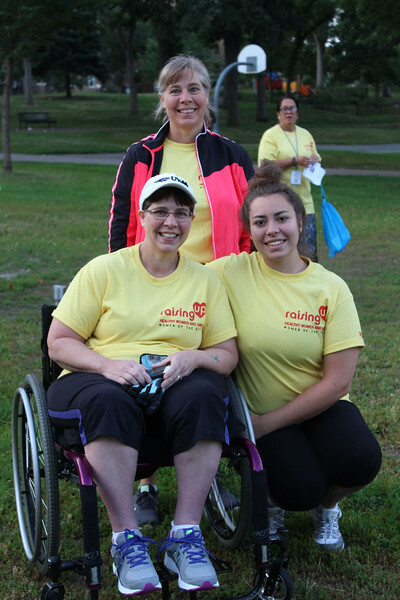 Tenth Triennial Gathering | The Run, Walk and Roll is a family affair. Left, Lola Doll of St. John Lutheran Church in Mosinee, Wisc. ; center, her sister Leona Maggietti of St. Paul Lutheran Church in Frederick, Mass. ; and at right Lola's daughter (and Leona's niece) Katy Doll, also of St. John in Mosinee, Wisc.